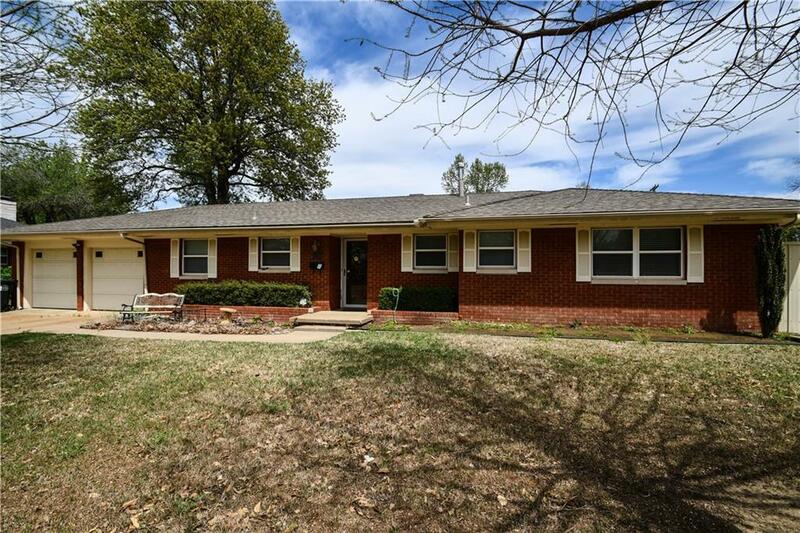 203 Foreman Avenue, Norman, OK.| MLS# 861481 | Oklahoma City Real Estate | Apple Realty, Inc.
Lovely well kept home in a fantastic core Norman neighborhood. This three bedroom, two and half bath home is on a large lot with a with a gated drive, newly built 24 X 30 garage/shop with electricity and a large above ground storm shelter. HVAC is 3-4 years old. Home boasts a large utility room with a half bath and pantry that can be used for flexible storage. There are two large living areas so a family can spread out. Home has fluted trim with medallions throughout. New wood floors have been installed with carpet in the bedrooms.